#HomeFit1Year is #HomeFit1, 2, 3 & 4 combined into a full one year programme. Consistency is so important when creating a new life, building healthy habits and making them stick, so I have created this full 1 year plan to help #Crockfitters continue following a training programme rather than finishing a 12 week plan and then stopping when it's over. Following this unique 1 year plan that takes you through a journey full of varied workouts will help keep you motivated long term, and maintain your interest in your training, nutrition and overall health! 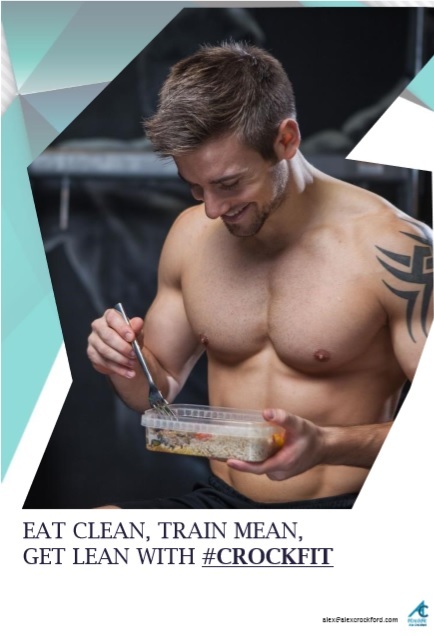 This will not only get you great results in fitness, fat loss and building lean muscle, but also the ability to maintain your results for life, which is what #CrockFit is all about! When you gain access to all the #HomeFit plans you will also have access to all the plans within the #CrockFitApp when it launches. 48 week (12 x 4) HOME training programme. Split into 12 cycles of 4 weeks each. Committing to all 4 plans at once gives you 20% off the cost. When you enter your #HomeFit Members area you will find your #CrockFit documents. 30 minute home training sessions with no equipment, 5 times per week. Healthy diet, following the nutritional guide I have provided. Update emails and optional photos after each cycle. Full recipes, photos & cooking method for breakfast, lunch, dinner, snacks and treats! You will receive all nutrition information from #HomeFit1,2,3 & 4.